Painted Furniture and Functional Art distinctive whimsical one of a kind artwork for cottage shabby chic farmhouse style homes. 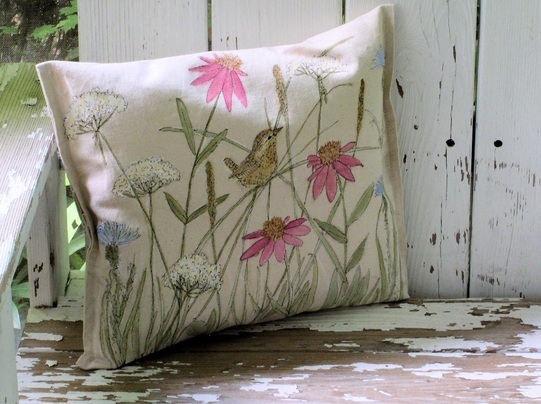 Nature inspired hand painted original designs by Laurie Rohner. ​Cottage Painted Furniture with nature inspired designs are hand painted, custom, chic, whimsical, unique, one of a kind, original and functional art. When you buy one of my one of a kind painted by hand painted furniture pieces this is what you are buying. Hand painted, I never use stencil or decal. Guaranteed one of a kind painted designs. Furniture is custom made by me unless stated Vintage furniture and flea market find. Personalized at no extra charge. Best customer service experience. You matter. 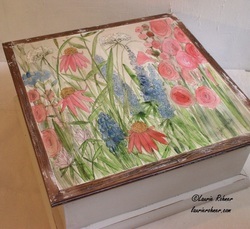 Join me and shop hand painted, one of a kind, painted furniture and nature home decor. 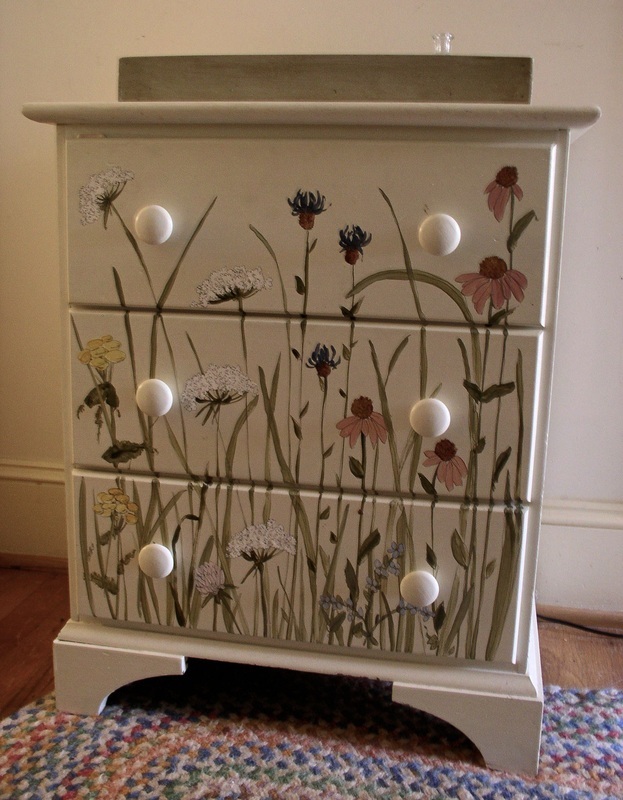 Explore and bring a distinctive nature look to your home with Functional Art and Hand Painted Furniture.